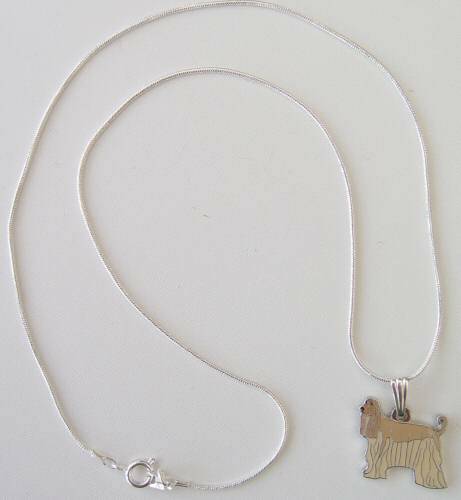 Golden Afghan Hound necklace. Long and flowing silky coat, beautiful golden colour, a traditional Afghan Hound strung on an 18" (46cm) silver plated 1mm snake chain. 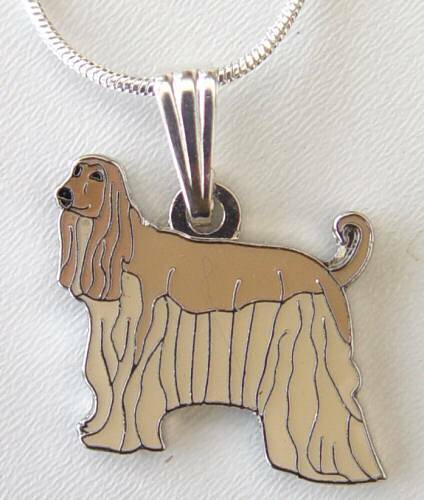 This beautifully detailed, enameled, silver tone charm really depicts the movement and fluidity of the Afghan Hound.